Nine leading, independent converters and two suppliers “pulled the trigger” at Labelexpo and signed up to join FLAG – the Flexo Label Advantage Group LLC. They join a roster of nearly 100 converters (and growing!) who have directly reaped the benefits of joining FLAG. Incentives – Average rebates $10K per quarter – with leading converters seeing total incentives over $100K per year! Did you miss us at Labelexpo? 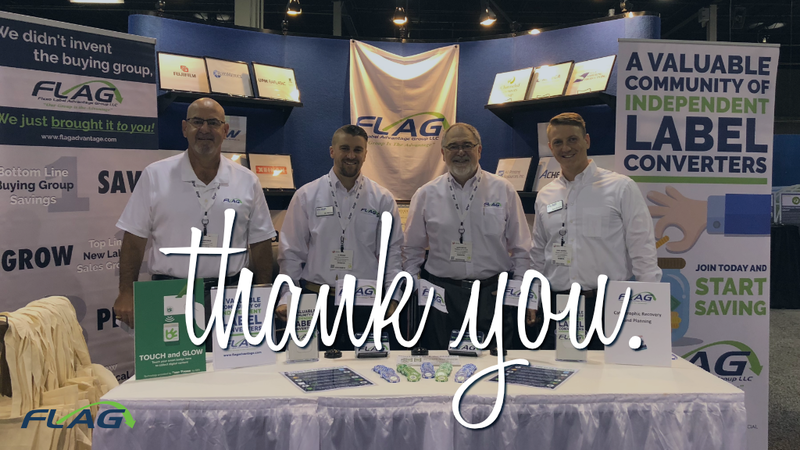 We would have loved to have seen you at the show but no worries, we’re still offering a post-show discount so that you can start earning rebates this year! But you need to act quickly – sign up by November 1, 2018 for a 25% discount off the initiation fee. Give us 15 minutes and we’ll share what our members know … and why it’s been working since 2010.